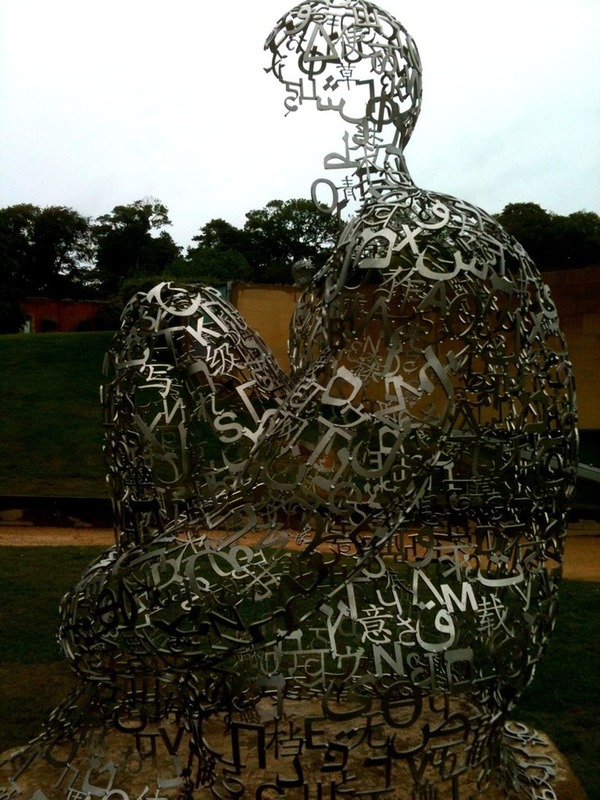 I just visited Yorkshire Sculpture Park to see the new exhibition there by the Spanish artist Jaume Plensa. Interestingly he uses a lot of poetry in his artworks and many of the pieces in this particular exhibition were inspired by the Song of Solomon in the Bible. The main one of these pieces was called Jerusalem and consisted of a series of hanging gongs with verses from the Song of Solomon inscribed on them. His work is interactive and in Jerusalem you were encouraged to take a drum stick and hit the gongs lightly. If you stood in the centre of the circle of gongs there was an amazing resonance as the sound of the gongs rang out. There are a series of other works all which I think it would be impossible not to be moved by. This is a truly inspirational exhibition and I would really recommend going! Previous Do you go to church to consume or participate? Next What do we want? Procrastination! When do we want it? Next week!